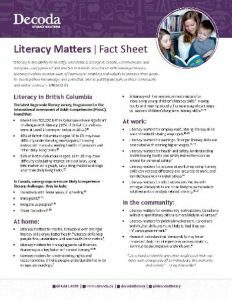 We gather and compile literacy facts and figures to provide a snapshot of literacy in BC. 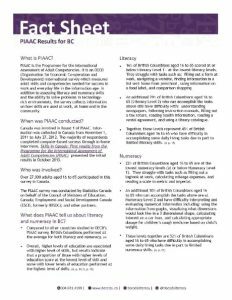 For additional information on literacy and learning visit our Resources section where you will find videos, downloadable PDFs, and our Decoda Literacy Library, which contains over 5,000 resources that you can borrow at no cost. If you have questions, please contact library@decoda.ca or info@decoda.ca.